I’ve in the past dedicated books of various character to my wife, my brother, my daughters, Mom, and most recently to my favorite bartender. So I’ve bestowed this singular honor on people I love, people who support me and on some guy whom I rely upon for daily inebriation. 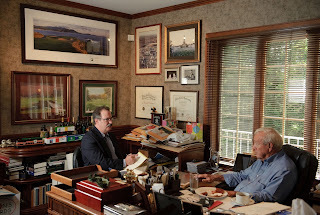 Michael Patrick Shiels, to whom I dedicate my new Arnold Palmer book, is none of those. In fact, Michael Patrick Shiels and I barely know one another. I’ve spent great swaths of life with family members and, yeah, the bartender. I’ve probably spent a total of three days in Michael’s company. But, oh, my, what glorious days. It was probably 15 years ago. Michael and I were on a lavish Puerto Rican golf junket with a cartel of big time New York City golf writers. They were very cliquish. It makes me sad whenever anyone behaves exclusionary toward anyone else, especially if it’s me who’s being excluded. But I had two things going for me. I have a very resilient personality and the host El Conquistador resort had thoughtfully welcomed us with a gift basket that included a bottle of fine Puerto Rican wine. And a man blessed with resilience and free hootch can overcome a lot of social injustice. I took my wine and headed to the swim-up pool bar, which for some reason was empty. It had no bartender, no customers, no activity. But — and this was key — it did have a corkscrew, which at that moment was all I needed in the world. I opened the wine and began to sip straight from the bottle. “Mind if I join you?” It was Michael and I didn’t mind one bit. I offered him a swig. I wish someone had recorded the next hour of conversation. It could serve as a Master Class on how to make lasting friendships in 60 minutes. I’d say he and I just hit it off, but I’m certain Michael just hits it off with everyone he meets. He’s engaging, funny, open-minded, intelligent, colorful, a lively and experienced storyteller and a thoughtful listener. So I was having a great time when a dark thought began to stampede my serenity. The wine was almost gone. I wondered how my new best buddy would react if he saw me begin to weep. Then, miraculously, Michael did something that right there — if he never did anything else for me — earned book dedication status. He somehow conjured another bottle of free wine! He was like this big friendly altruistic wine-bestowing genie. We kept in touch. 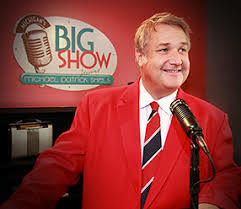 Over the years, I learned Michael was family friends with George and Barbara Bush, that he was one of the top radio talk show hosts in all of Michigan, that he golfs with Jim Nantz and is so beloved in parts of his ancestral Ireland he’s welcomed as a grand marshall at some St. Patrick’s Day parades. He became a fan of my stories, especially “Use All The Crayons!” He’d invite me to guest on his radio show and I’d gain readers from all across Michigan. He was a true friend, one who made it known he’d pull strings to advance my sometimes hapless prospects. 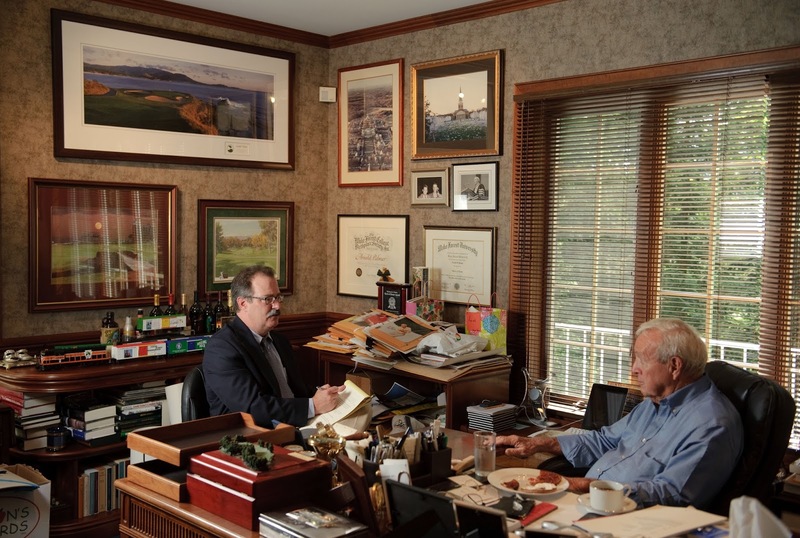 I thought of him when rejections for my proposal for a book about Arnold Palmer and his hometown Latrobe began to reach critical mass. Inconceivably to me, no one — neither agent or editor — wanted anything to do with it. They thought it was a loser. So I called Michael. He saw the merits of the book right away and sent an introductory e-mail to the acquisitions editor at Triumph Books. He said I was a great writer, easy to work with and, I think, was pleasant company if the editor and I ever wound up stranded at some Puerto Rican swim-up pool bar. And he included me in the email chain. I had a contract in five days. Uh, could you put me in touch with Jim Nantz? Inimitable means impossible to imitate. That’s Michael. To me, the key third is the future frolics. I believe fate will one day lead us to to a swanky dinner, a posh golf course or — who knows? — maybe another swim-up pool bar and I’ll get to again revel in his splendid company. Because graciousness is another of his admirable attributes, he posted he felt “Honored and overwhelmed” to be the subject of my book’s dedication. It’s maybe the one time when this insightful gent has it all backwards. 1st 50 Palmer books here (and gone). Who got 'em? I showed up Monday on Doc Giffin’s front porch with one of the worst gifts a thoughtless man could deliver. For my friend Doc, I had a book he’d already read. Despite the faux pas, I knew it would be okay, so my feelings were the exact opposite of how I felt in December when I’d given him a rough draft of “Arnold Palmer: Homespun Stories of The King” (pre-order here). I was feeling anxious then because if Doc denounced the book I’d have to leave town. Doc had been Palmer’s personal assistant for 50 years and dealing with him is a big, personal part of the book. If he thought it was reckless with the Palmer legacy, if it took cheap shots or thought it was just plain stupid, I’d be crushed and it would be “Goodbye Latrobe! Hello Dayton!” for the Rodell family. Happily, he told me he likes it very much. He said he was looking forward to re-reading the book without having to fact-check it. In the book’s acknowledgements, I thank Doc and say how I consider having him as my friend one the greatest privileges of my life. So, obviously, I’d want to honor my esteemed friend by giving him the first copy, right? Then how come he wound up with something like the 18th copy? Last Friday, the publisher sent me the first 50 books. They’re all gone. Sold. Given away. Donated. I’ll be getting another 250 copies Thursday. But Buck was deserving so the honor wasn’t squandered. He even insisted on paying. He likes the book and is inviting me to put up strategically placed cover posters boasting the book was written right here. This I will do. Who was the recipient of the second book? Some perfect stranger. He just started waiting tables here and was checking out the building when he wandered into my office. Why would I bestow such an heirloom honor on a total stranger? The book retails for $15 and I’ve generously, I think, decided that’s what I’ll charge. Now, for out-of-towners that require a trip to the post office, each copy is $20. If your contributions to the book are substantial, if I consider you sufficiently connected or prominent, I might offer you a freebie. If this happens, you can if you choose to offer a donation at which I’ll twice feign indignity before shoving in my pocket. The third book went to Jessie, the Tin bartender who complained about the unfairness that Buck got his before she got hers. She ’s right, too. Buck’s the landlord, but Jessie is the one I rely on when I’m in need of soulful inebriation. In the grand scheme of things, I should have dedicated the whole damn book to Jessie. She, too, paid me $15. Jessie is the best. A nearby drinker saw the transaction, asked for two copies and forked over $30. So I’d stopped in for one beer, sold 5 books and walked out with $75. This drinking thing is really starting to pay off! I probably filled orders for 30 people who’d already sent checks that — cha-ching! went right through. “THE REVIEWS ARE IN!! I rate it excellent. My friend Chris Rodell personalized the Latrobe aura with home town stories about our hero ARNOLD PALMER!! 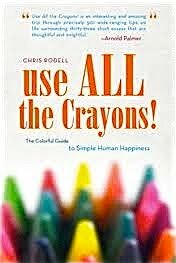 The book is HOT off the PRESS and I highly recommend it to bring smiles and inspiration. Looks like the 50th copy is going to another esteemed recipient. A friend has told me Mrs. (Arnold) Kit Palmer is interested. I hope she likes it. I hope no one feels slighted that they didn’t get one of the first 50. Delivery, as you can see, has been arbitrary and haphazard. Book signings aplenty coming up. And if you want, I’ll be happy to sign any book for you the way I signed one for Zach. He’s the bartender at Flapper’s, the beguiling second floor speakeasy at the Tin Lizzy. I make it a point to at least once a week stop in on a slow night for Wild Turkey and philosophical distraction. I’ve known Zach for about four months.